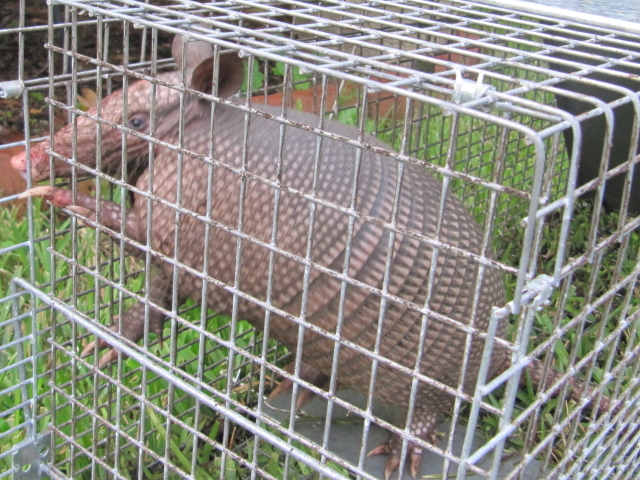 To 'evict' Armadillos from your yard, toss ground black pepper into their burrows. Wait a few days and close the burrow with soil. 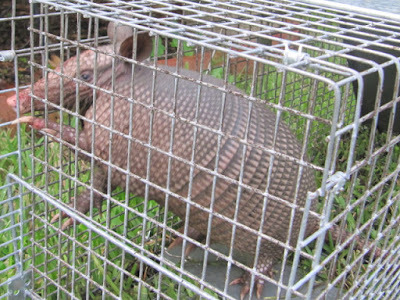 I've never seen an armadillo here but if one should get lost and show up, I'll know what to do! Simple, just set up the cage on front of their burrow. they don't see well, and just walk right into it.